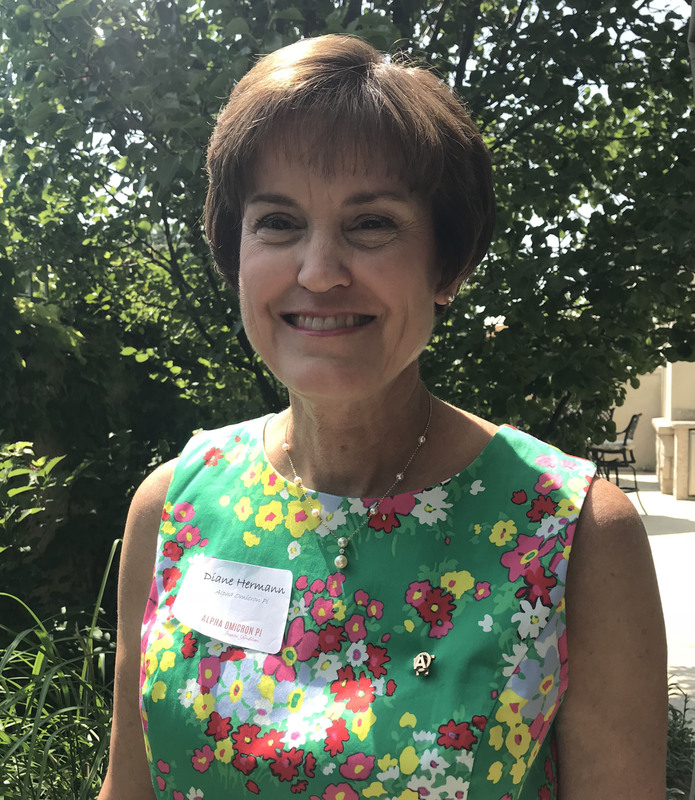 It is a great honor for Diane to represent Alpha Omicron Pi as the President of Denver Area Panhellenic. She has lived in the Denver area for 40 years. She graduated from the University of Nebraska at Lincoln where she joined Zeta Chapter of Alpha Omicron Pi. Diane married her high school sweetheart, Bill, (a Sig Ep) and they moved to Denver. Teaching was Diane’s passion for 30+ years, teaching grades 1-6 and then her last ten years was spent working and mentoring teachers in their practice. She has always been a part of the Denver Alumnae Chapter. Diane volunteered in her daughters’ many activities, school, soccer and booster clubs. She has been involved in church activities, Stephen Ministry and Ministry Council. She is blessed with two daughters and son-in-laws, and has three granddaughters, and one grandson. Her hobbies include travel, bridge, reading and visiting our family as often as possible.